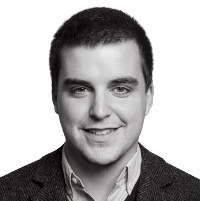 A little more than over 2 years ago (in June 2013), I did my 34th 7PHP interview with a young dynamic (can very much say as explosive as a dynamite as well – explosive in the good sense) named as Phil Sturgeon. I still remember at that time while I hit the “publish” button and tweeted above that interview, I unconsciously wrote Phil Surgeon instead of Sturgeon. We had a good twitter moment. 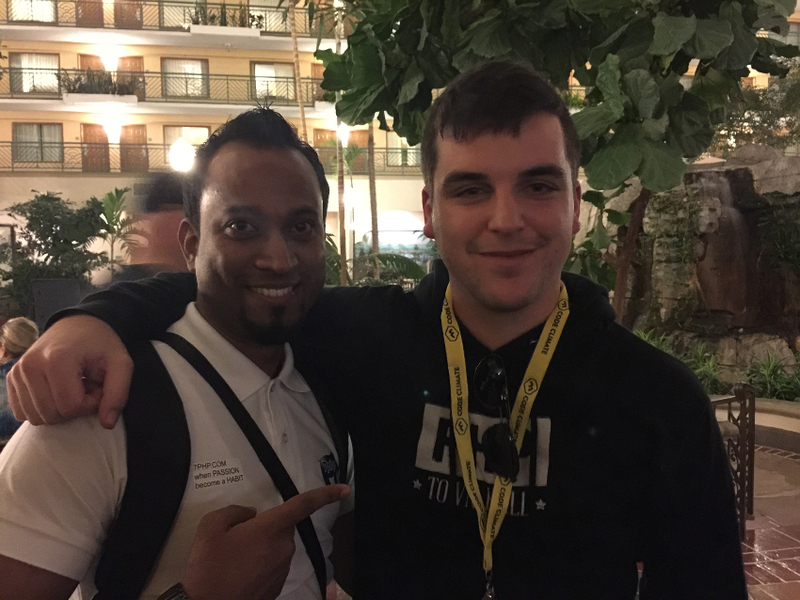 Time flies and in Feb 2015, I was even able to meet Phil in person at SunshinePHP Conference in Miami. 1) The PHP Community is amazing – your first interaction that you have is like a magnet to staying close to the “magical” PHPers – they are ALL unique and more than just awesome – brilliant, supercool and above all – human beings in themselves. 2) Phil is one of those PHPers who started his PHP & Community journey at a very tender age and he is still young as compared to most of the others. While at his young age, it could have been very tempting for him (just like most young people) to spend his time partying (with no purpose) and forgetting about the World. But instead, Phil decided to Party like a Rockstar by being deeply involved with PHP & The Community. No wonder he is one of the most respected Community guy and to meet him in person was an honor for me. Dear Phil, you are simply amazing – keep being The Cool Phil ever! Wish you lots of awesome things for 2016! Like I mentioned, I previously (in 2013) did a long interview with him, so have a look here if you want to refresh your mind. >> Hi Phil, How Has 2015 Been For You? 2015 has been a remarkable year. In 2014 I had a garbage fire combination of a visa, job and tax troubles that lead to all sorts of other problems, but in 2015 those problems were all resolved one by one. Actually, the PHP community helped me out a lot during this time. A few donations, a few people buying my book just to give me beer money when I needed it, etc. People were so kind to me I didn’t know how to deal with it, and it feels incredibly good to be back on my feet now. >> How Was 2015 For The PHP Community From Your Perspective? It’s 50%-100% faster thanks to PHPNG. It’s more consistent thanks to the lexer, abstract syntax tree and uniform syntax changes. It’s more robust now that we can catch errors for things that used to just die as fatal errors. It’s less verbose now that `$foo ?? false` replaces `isset($foo) ? $foo : false`. And that’s not even mentioning the cracking new functionality of scalar type hints and return type hints. I’ve been using those a bunch in other languages and they are an absolute lifesaver if you ever try programming tired. 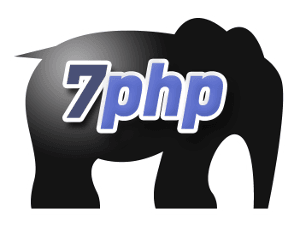 PHP 7.0 is a big deal for PHP, and I cannot wait to see what comes in the rest of the 7.x branch. >> One Thing That Stood Out For You In 2015? I’ve noticed people are getting increasingly fed up with the PHP-FIG. This is unfortunate, as they’ve mostly been doing an absolutely wonderful job. There is tension between some people who think they are “over-reaching and forcing standards down people’s throats” at one end, then the other end of the spectrum is a bunch of folks complaining “they are just building stuff for them and they need to become a real standards group to make standards for everyone“. Those goals and complains are mutually exclusive, so the FIG is going to get a bunch of stick whatever they do. I hope however they proceed, they keep leading to positive ripple effects throughout the community as all of their previous efforts have. >> How Do Your Foresee Things For PHPc in 2016? 2016 is going to be the first time where folks upgrade to a major version of PHP, or any programming language quickly. PHP 4 -> 5 was a mess, PHP 5.2 -> 5.3 took forever, but minor updates since then have started to speed up. Hosts are getting used to upgrading quickly and luckily we’ve seen a lot of hosting companies run with PHP 7.0 through the betas and RC versions. A lot of influential people have been suggesting that hosts wouldn’t even support PHP 7.0 until a long time from now, but PHPVersions.info received the first final update the day PHP 7.0 was tagged in Git. >> Your New Year 2016 Message To The PHP Community? Keep striving for greatness. There’s a lot of junk code out there, junk advice and junk attitudes being thrown towards PHP developers, but the progress this community and language has made in the last few years is incredibly impressive. It’s hockey spiking, and we just have to keep making cool new packages, embracing testing, exiling poisonous people and helping people who are having a rough time. >> One of your New Year Resolution? My New Year’s Resolution is to get back to helping people. Ten years ago I started helping people on the CodeIgniter support forums, and 6 years ago I started answering questions on StackOverflow. Helping people is what got me my reputation as somebody who knows stuff about things, and at some point over the last two years that trailed off. Instead of answering questions on StackOverflow, I was arguing on Reddit. Instead of writing FIG bylaws, I was arguing with people on the FIG mailing list. I’ve decided to get back to helping people, and I’ve opened up a Slack Channel on APIs You Won’t Hate. Sure there’s a book on there, and that’ll probably get me some sales, but really I want to turn this website into a community, and a series of resources, with the book just being one of those resources.